Following the successful capture of Quiet (who later becomes one of your best buddies) a special Easter Egg is unlocked. Involving Quiet and a bikini you may have already heard of the sunbathing easter egg in The Phantom Pain? So without further ado let's run through the steps involved to see this easter egg for yourself. 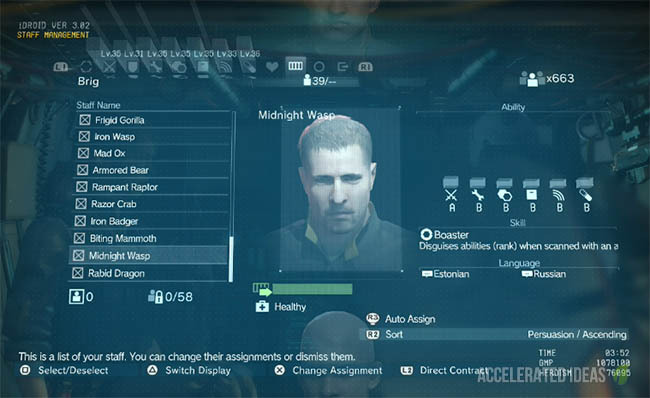 In order to get the sunbathing easter egg, players have to first unlock Quiet and return her to Mother Base. This is achieved by starting Side Op 82 and venturing off to Aabe Shifap Ruins on the north western side of the map. 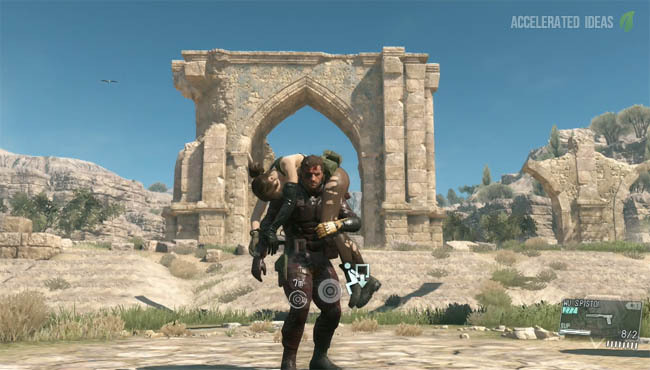 At this point a BOSS fight takes place between Big Boss and Quiet, with the option to capture and return Quiet to base at the end of it. Following a great cutscene, Quiet arrives at Mother Base to the disappointment (and probably anger) of the staff already stationed there. You even get escorted to the landing zone because of the hostility. At this point Quiet makes a cool entrance before Big Boss decides to ship her off to a prison cell. The important part here is the location of the cell, which is actually located at the Medical platform. If you didn't listen carefully you could easily have missed this piece of information. If you're new to the game then take note: you can travel around the entirety of Mother Base by free roaming - running and even driving vehicles to save some time. This is the location of Quiet's Cell and from here you can take a peek from above and see her sunbathing down below. She's lying on her belly though so the view is great but still obscured. Now take the stairs leading to the level below for an upclose view of Quiet's cell for yourself - don't expect much of a response from her apart from the soothing humming noise though.